July 9, 2019 Del Rays & Cruise In. 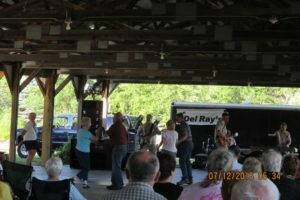 Come to the Coloma Village Park and dance to the Del Rays from 6:30 – 8:30PM. Bring your favorite lawn chair! Bring your classic car, truck, or motorcycle! Food and beverages available for purchase at the park. July 31, 2019 (Raindate August 1) Clauson Family Music Show Enjoy the Clauson Family Music Show 6:00 – 8:00PM in the Coloma Village Park in front of the caboose! Bring your lawn chair, some park benches available. Food and beverages will be available for purchase. Join us in the park for some great summer concerts !